Le Vent des Forêts, ‘Wind of the Forest’, is an Art in Nature organisation that came about from the energy of a few tiny village communities in an agricultural and forested area of the Lorraine district of France. 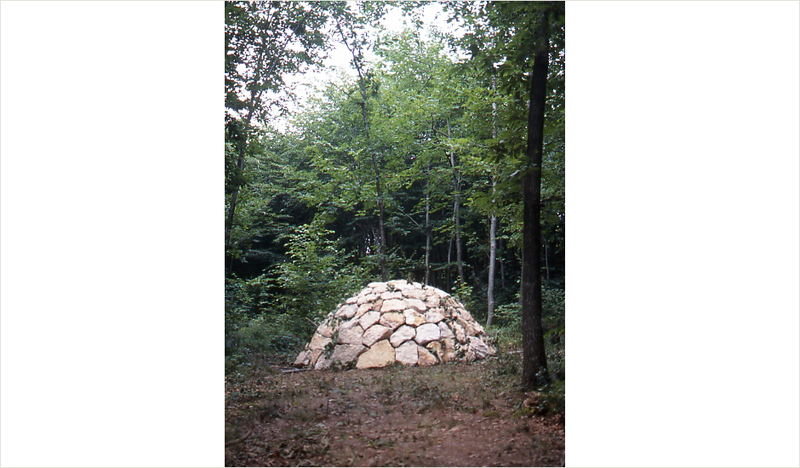 The sculpture is located in a large working forest with no conservation areas. Branches that once waved in the wind were tightly stacked and sealed in a dome of stones, then wired together to protect them from human disturbance. As these branches rot, the stone dome will modify its shape to a new form.